What is Serial Port Control? Let your application control serial ports THE EASIEST WAY. The program allows you to overcome the complexity of the Win32 Serial Communications API so you can write to and read from your serial ports using direct and powerful commands. 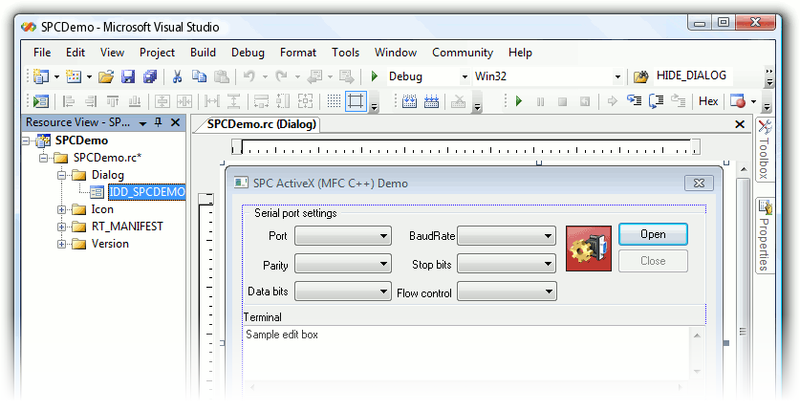 Serial Port Control comes in different forms and supports wide variety of popular development environments like Microsoft Visual C++, Microsoft C#, Visual Basic, Visual Basic .Net, Delphi/C++ Builder and so on. Just drop a control on a form in any development environment and compare this to writing thousands of lines of code.